Nuts About Nutrition – The Capital Athletic Club | The Capital Athletic Club is Downtown Sacramento, California's Premier Full-Service Athletic Club that provides a variety of amenities including cardio and weight equipment, fitness classes, training, swimming pools, basketball courts, and services to help you be fit, healthy, and happy. Looking for ways to make your diet healthier – have some nuts. There are a wide variety to choose from that contain monounsaturated fat, vitamin E, folic acid, magnesium, copper, protein, and fiber, and are rich in antioxidant phytochemicals. Daily consumption of just 1/3 cup of nuts, any type, lowers total cholesterol, LDL “bad” cholesterol and triglycerides. 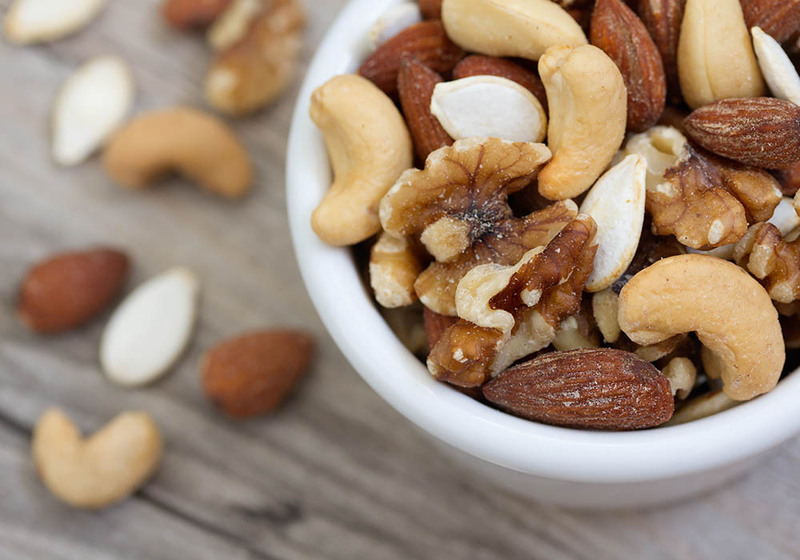 The Nurses Health Study, which followed 86,016 nurses for 14 years, found those who ate 5 ounces or more of nuts per week reduced their risk of dying from heart disease by 35%. The fat and fiber in nuts makes them a satisfying snack. However, too much of a good thing can be bad – especially if you’re watching your weight. Nuts are nutrient and calorie dense. A one-ounce serving of nuts contains between 160 and 200 calories. Try portioning your nuts in small bags for a great snack on the go. Top hot or cold cereal with nuts for breakfast. Sprinkle nuts on top of yogurt.